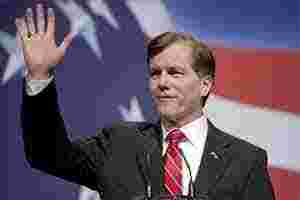 Washington: Virginia governor Bob McDonnell is leading a high-powered delegation to India as part of his effort to not only attract Indian investment to his state, but also promote tourism and the Virginia wine industry. Currently in Israel, McDonell reaches Mumbai on 15 November. The team will aggressively and proactively encourage business investment and job creation initiatives during its visit. First lady of Virginia Maureen McDonnell will also join the mission, focusing her efforts on promoting tourism and the Virginia wine industry, an official release said. “In 2008, India was Virginia’s 24th largest export destination, while today it is the 15th largest. This trip will enable us to strengthen existing relationships and build new ones," McDonnell said. “Virginia is open for business and we want to ensure that companies in every region of the world know how great a place Virginia is to do business. I look forward to more economic successes on this mission like we have seen from our prior missions," the governor said. While on the job creation and economic development marketing mission to Israel and India, the governor and Virginia officials will meet with business leaders in Tel Aviv, Mumbai, Bangalore and New Delhi. The governor is also expected to announce an Indian agriculture and forestry export initiative during the mission, as well as introduce Virginia’s new trade representatives to India, an official release said.